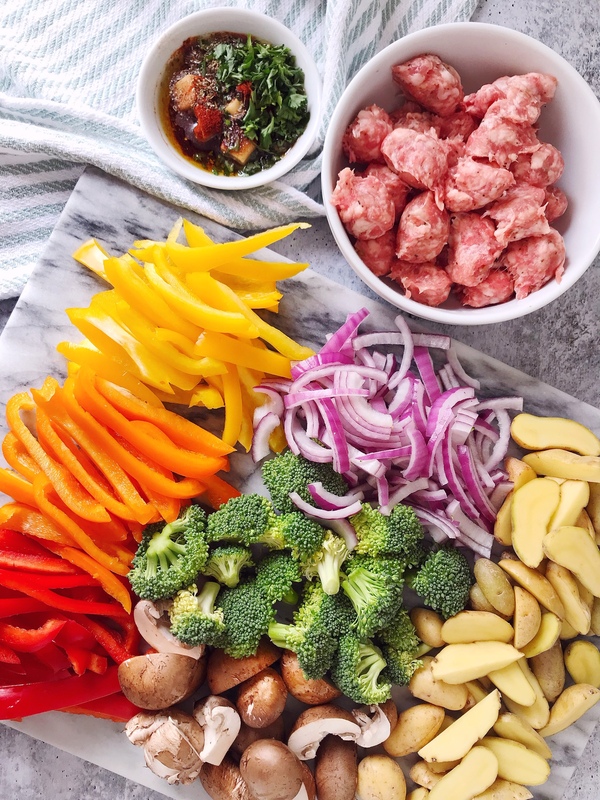 On a large sheet pan, arrange thinly sliced peppers and onions, broccoli florets, mushrooms, and small potatoes. 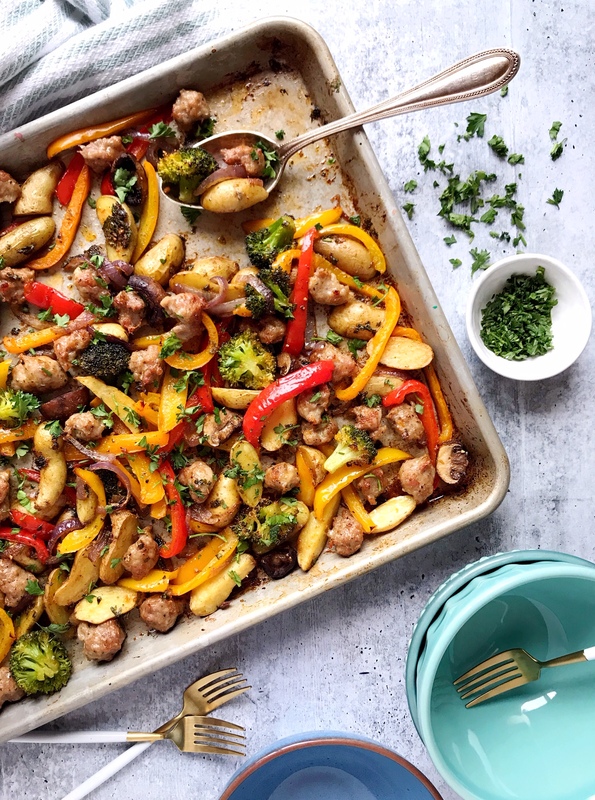 Remove sweet Italian sausage from casing and drop in small pieces on top of the veggies. In a small bowl, combine olive oil, fresh parsley, garlic, oregano and paprika. 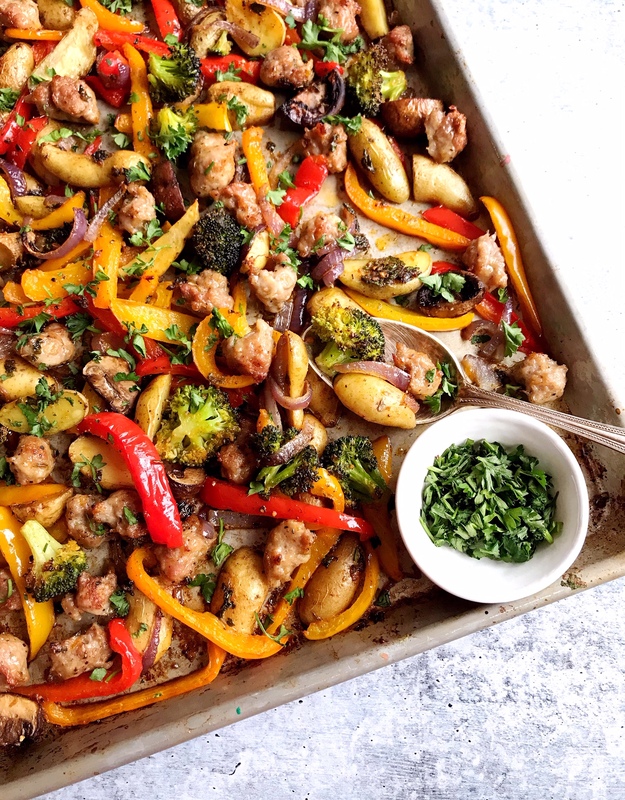 Drizzle the herb and oil mixture over the vegetables and sausage. Season the ingredients well with salt and pepper and place in the oven for 35 minutes; tossing halfway through the cooking time with a large spatula. Remove from oven and garnish with additional fresh parsley before serving. Super Bowl Menu Snack Ideas. My Beauty Routine Make Over. 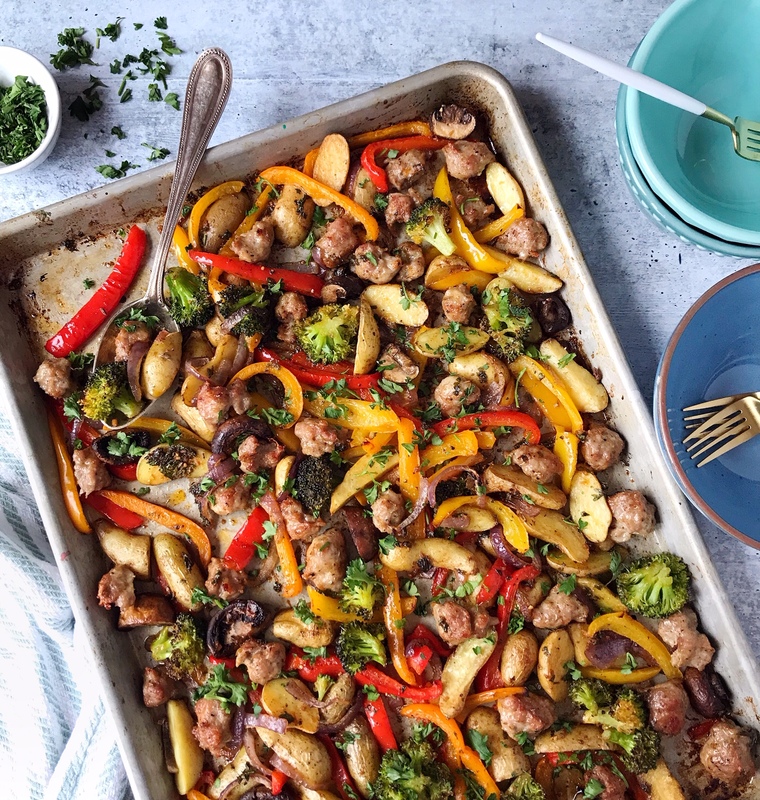 One Response to "One-Pan Italian Sausage and Roasted Vegetables." YESSS! Love a simple, easy, flavor packed meal!